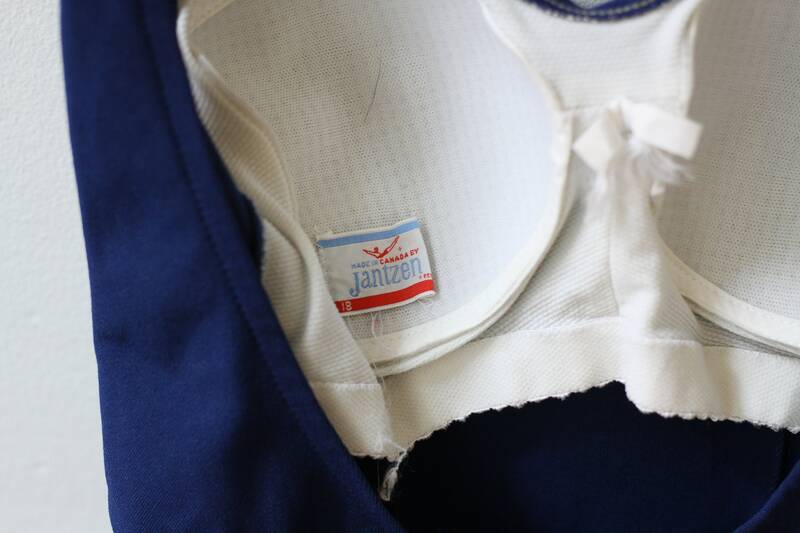 A perfect one piece swim suit from the 1960s from the iconic swim suit brand Jantzen. 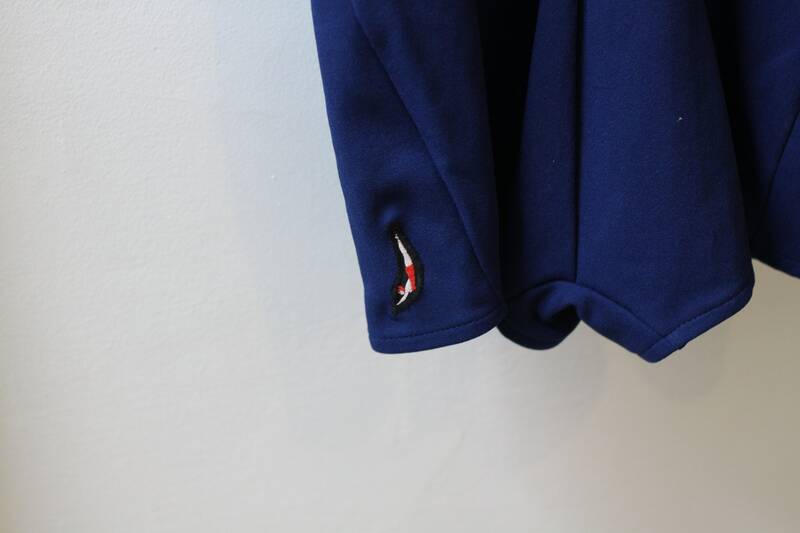 A rich navy blue solid color throughout the suit except the small swimming lady patch at the bottom of the suit. 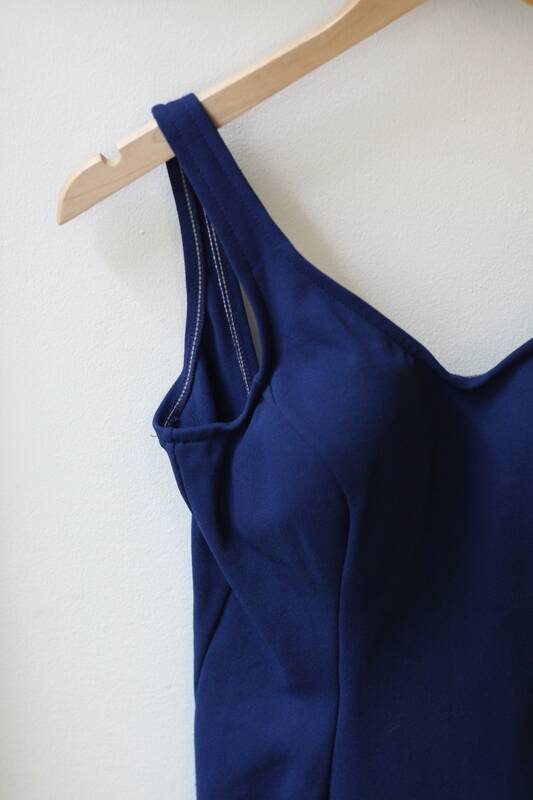 Built in bra support and a straight across bottom base of the suit.